I am back on Simple Stories blog to share some layouts inspired by my wedding recently! This time, I am inspired by the wedding photo shoot taken recently for my traditional wedding. I thought I would like to document some thoughts that went in my mind during the photo shoot and it would be a good memento when hubs and I grow old! 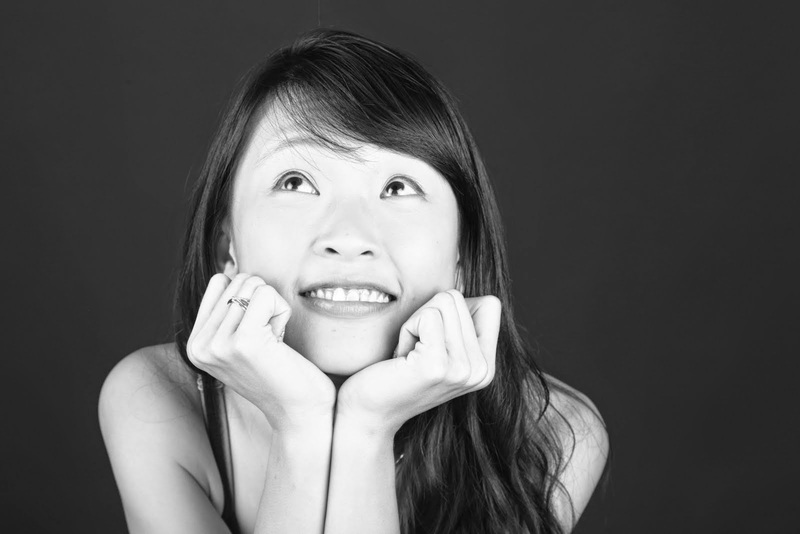 This time round, I made use of 2 Simple Stories collection which matches both of the photos I intended to craft on. 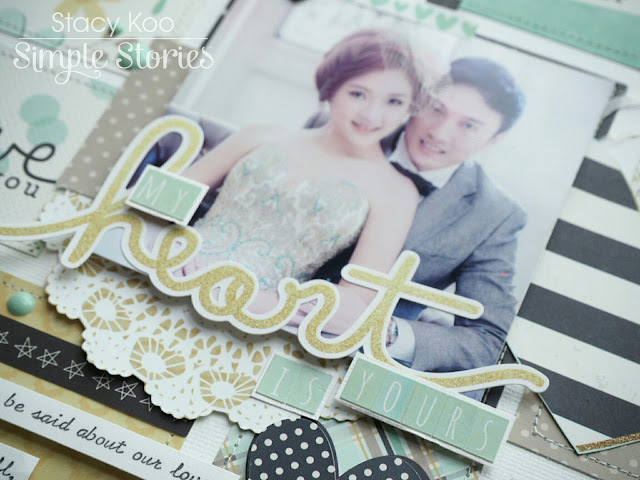 The first layout is titled "My Heart is Yours" and I made use of the Heart collection. 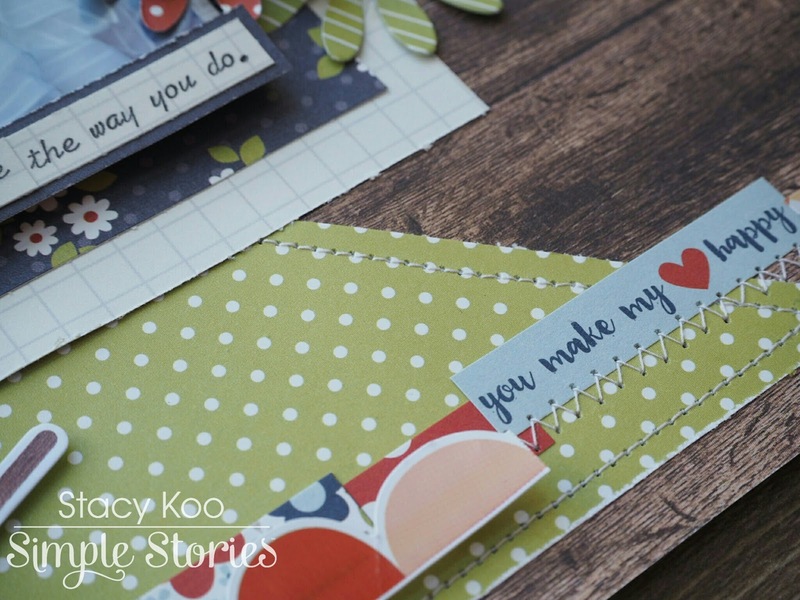 This collection houses my favorite colors and I absolutely adore the paper elements in the pack! 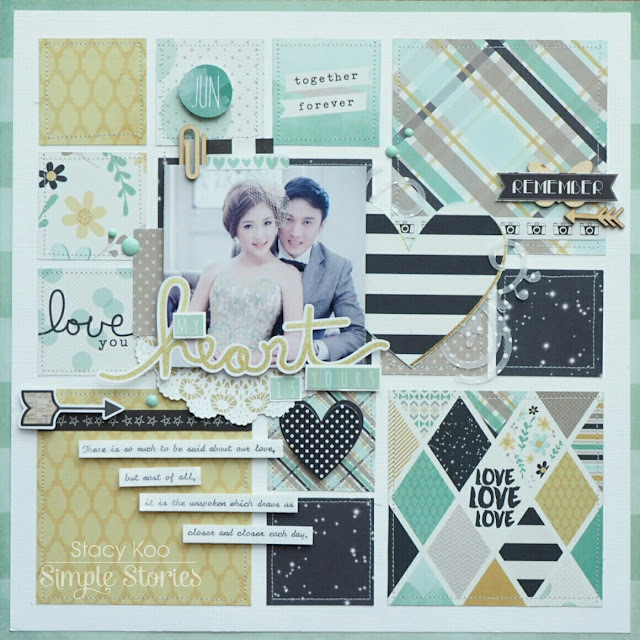 I had made 2 layouts previously using this collection, now another, and I still have enough for another layout! To highlight the paper elements which I would like to showcase, I first cut them in squares of 2 sizes. Then I started planning where they would go, before finally stitching the edges of all the squares. Then I picked out the elements which I would like to use in order to highlight my photo. Here, I have used a heart sticker and popped it over a pattern paper. This helps to highlight the embellishments pretty much! 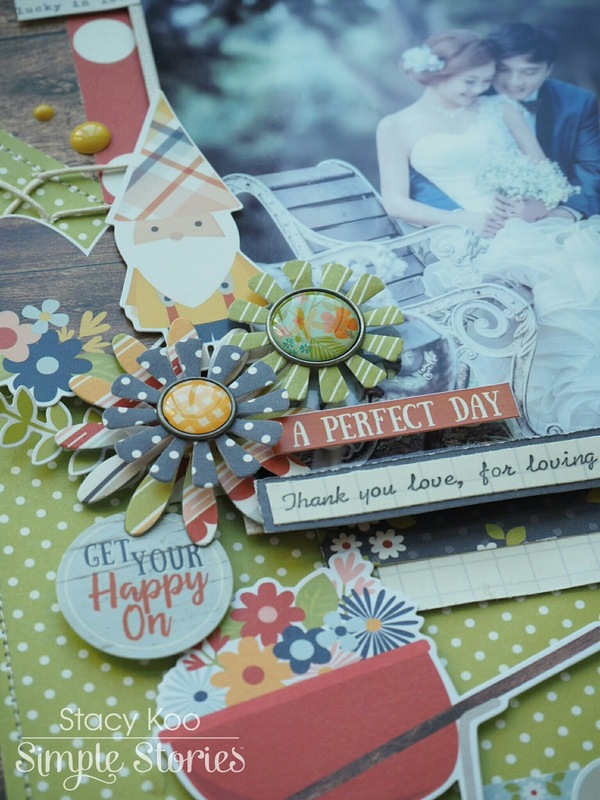 Adding wooden embellishments from “Life in Color” collection here! I love to add wooden embellishments to showcase my subtitles. 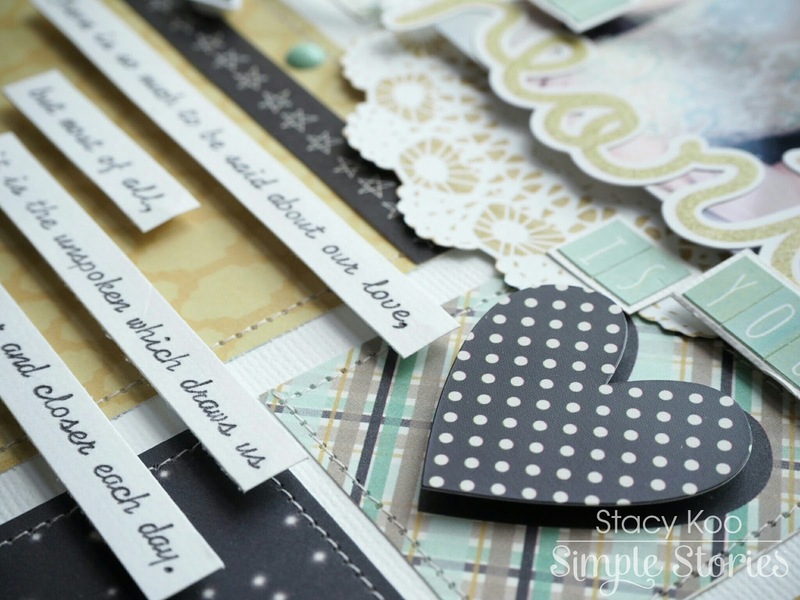 Easy way to create layering for my layouts! I also did fussy cutting of the heart shape there, it was originally meant for my journaling but I changed my mind afterwards! It is okay to make changes along the way, most importantly, go with the flow of creating and have fun! Then, I used the more stickers to help with my title. Matting the little alpha stickers help to enhance the title. I did some fussy cutting of the rosette in order to place it below the title to help encase it. My next layout features another wedding gown and I thought it would look best with the “Bloom & Grow” collection. 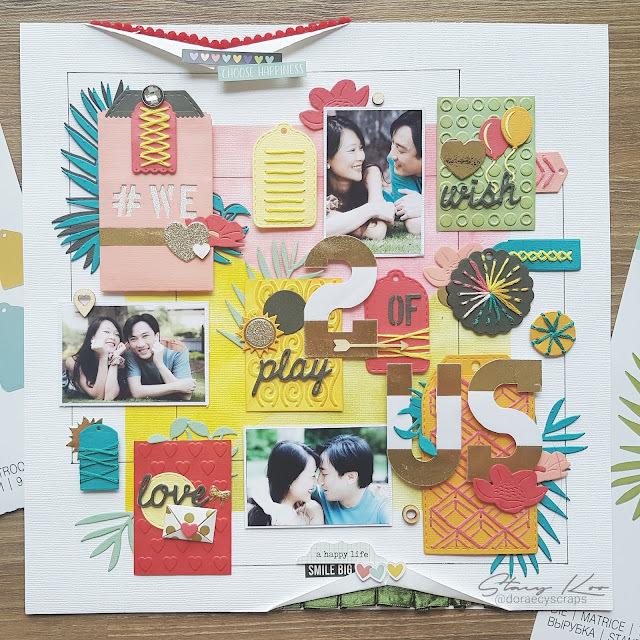 I titled it “Happy Moments” and it came from the sticker sheet as well as the bits and pieces pack. How apt! I love it totally when pieces like that come to place easily! More stitching here! I added some simple tacketing to the background in order to break the vertical flow of the layout. 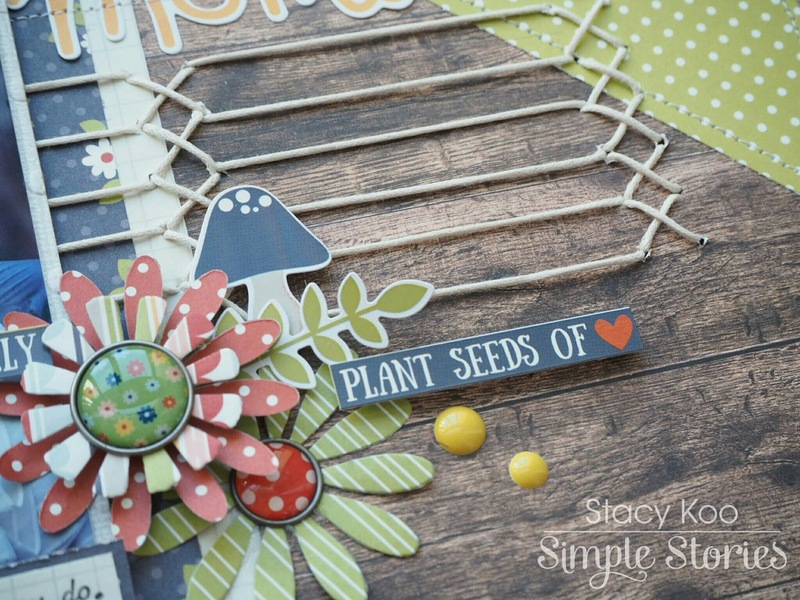 Simple stitch but I love that it creates sort of a fence which highlights the entire theme well! To add on to the garden feel, I also added some die-cut floral pieces, highlighted by the bradz and embellished with the bits and pieces pack! Not forgetting some sentiments along the way! Another use of the sticker pack here. I layered then randomly then stitched up the entire row. Simple and effective!